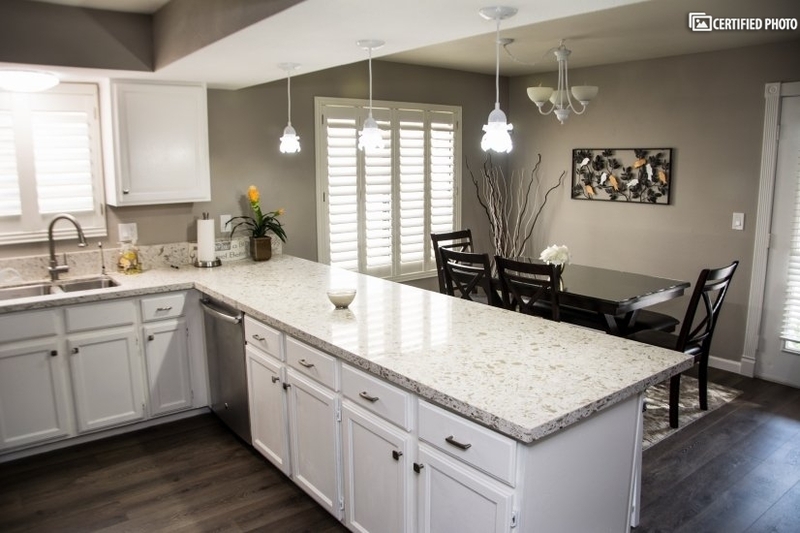 Beautiful 3 Bedroom 3 Bath, New EVERYTHING - Giant SPA! 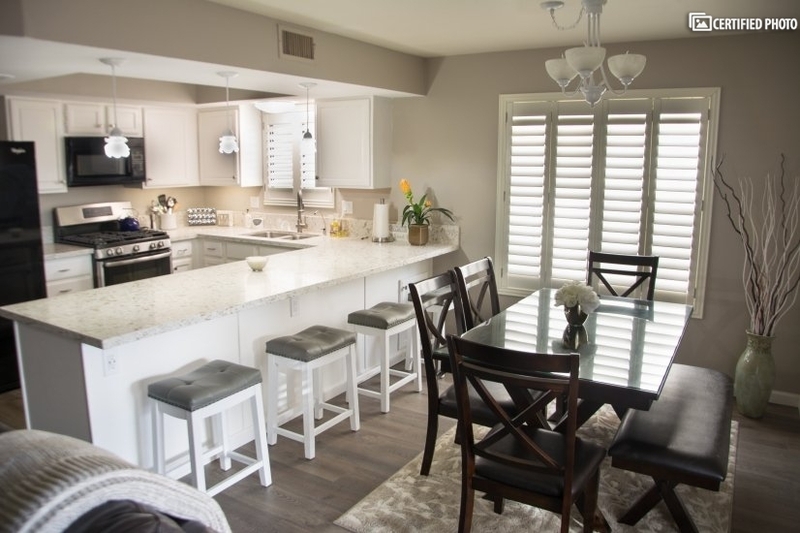 TURNKEY - complete kitchen, towels linens included. The master bedroom has a luxurious King size bed, an en-suite spa bathroom, and large custom closets with built in dressers. 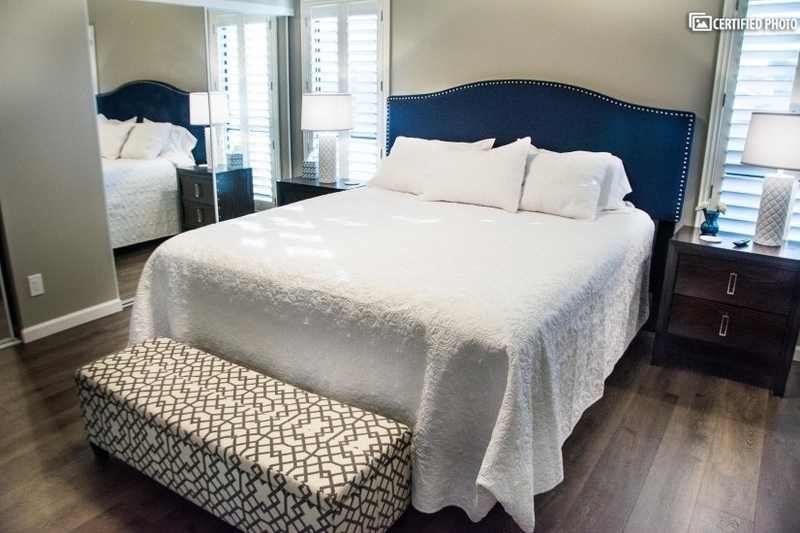 The second and third bedrooms have luxurious queen size beds. Quiet, safe neighbor hood. Clean and newly renovated 1800 square foot, 3 bedroom 3 bath home. High end appliances, fixtures, beds and bedding. 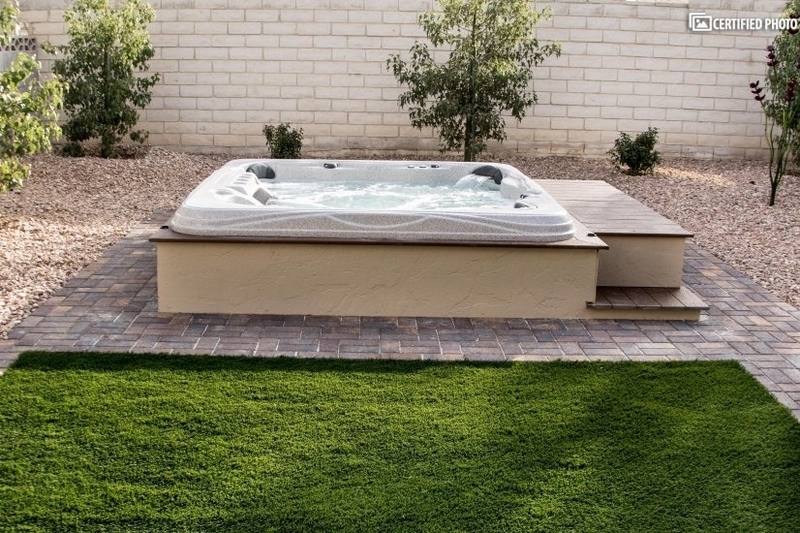 Luxurious in ground modern spa. Everything you need for your Home away from Home. 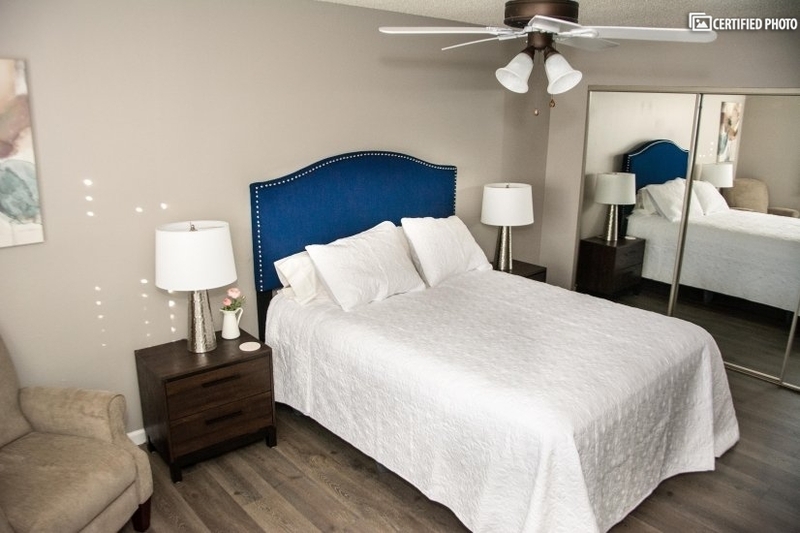 We are conveniently located near the world famous Las Vegas Strip (10 miles), championship golf courses, amazing restaurants, Red Rock Canyon (10 miles to visitor center), and all major Las Vegas Convention Centers. 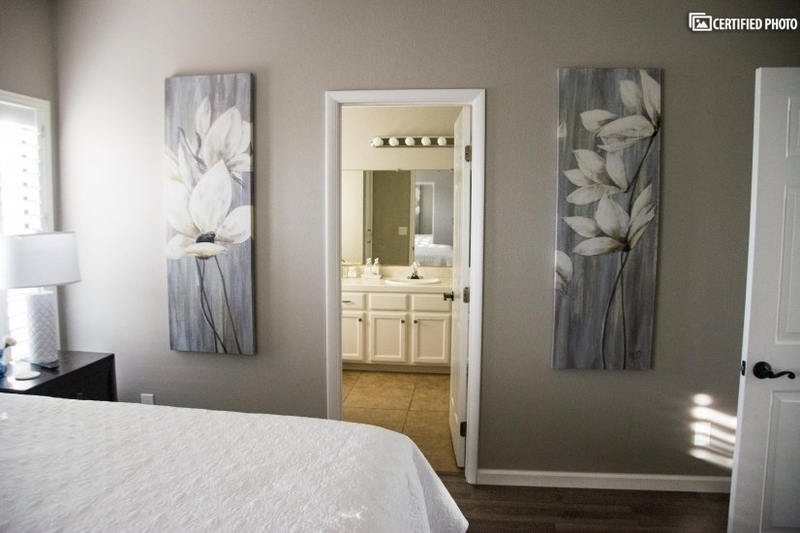 Our home contains all high end furnishings, beds, decorations, appliances, cookware, sheets, and towels. We have meticulously provided you with every comfort of home. And, if we dont have it, just ask, and we will provide! Late model LG washer dryer. The house is in a quiet, private neighborhood with parking for 2 in the garage, 2 in the driveway. 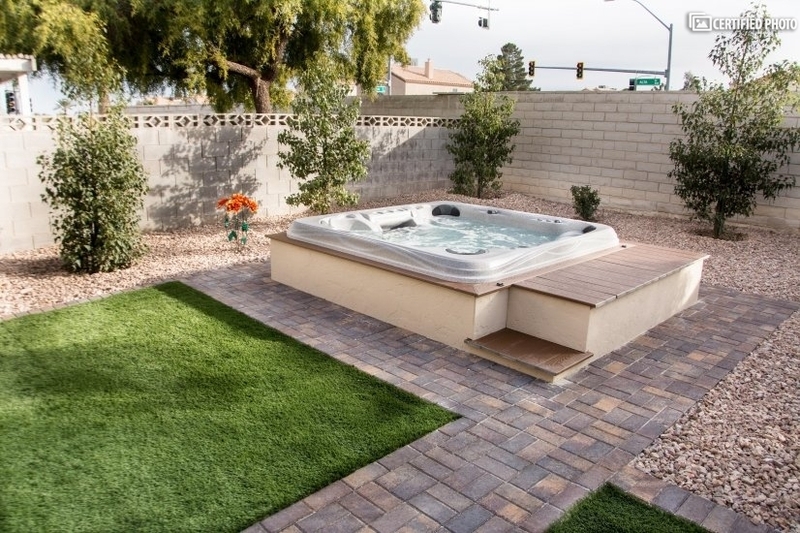 Enjoy the 8 foot by 8 foot in ground spa and beautifully landscaped back yard with gas BBQ. No extra charges for Spa heating. The house has three bedrooms, master chef kitchen, dining room, game room with shuffle board, shuffle board bowling, & bumper pool. Game room has a built in sound system to play your tunes off your streaming player or smartphone. 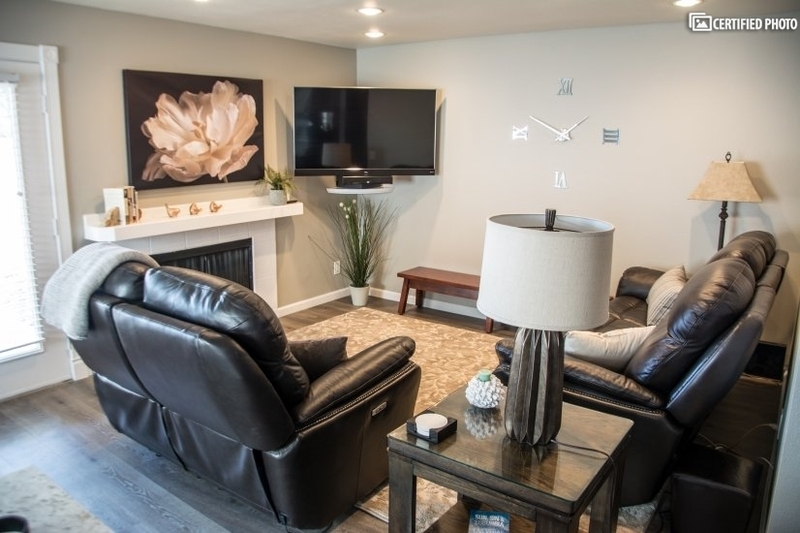 Warm family room with 4 reclining home theater seats, and 3 bathrooms. There are 3 Netflix loaded TVs in the house. 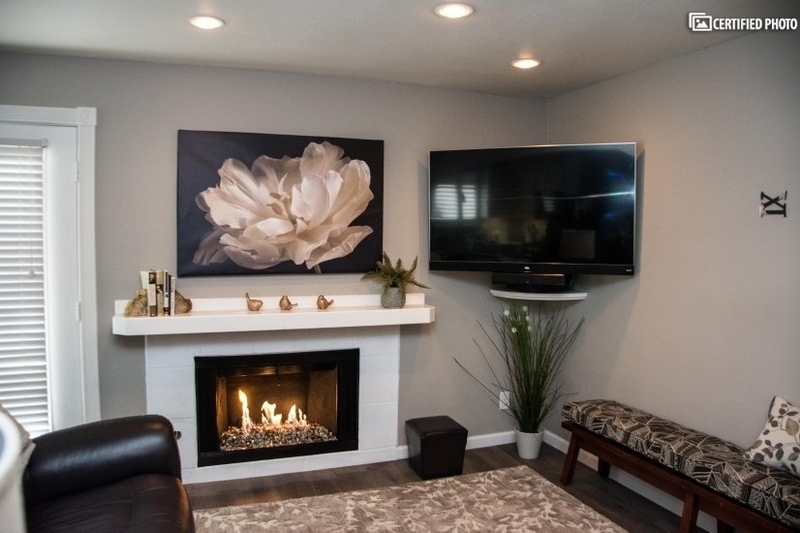 The family room has home theater seating arranged around the amazing glass fireplace and 55 inch ROKU smart TV. 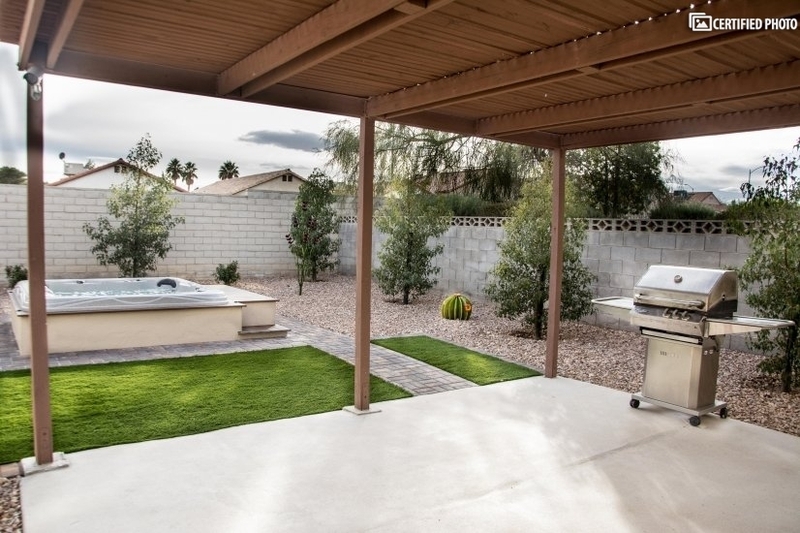 The back yard has an huge 120 jet hot tub and a BBQ Galore Turbo Gas Grill.